Please measure your dog's neck as you see in our size chart before the purchase. 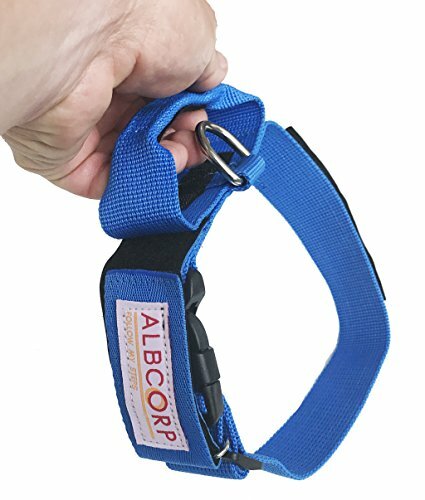 Lightweight & Comfortable Rest assured this comfy collar will pamper your precious pet. Plus, with its breathable Nylon webbing, it helps prevent rubbing & chafing. Not Just for Service Dogs Own a therapy or support dog? Or any other working dog? Just remove our "Service Dog" patch & replace with 1 of your own. One collar. Endless possibilities. Order NOW for Yourself & All the Working-Dog Owners You Know! 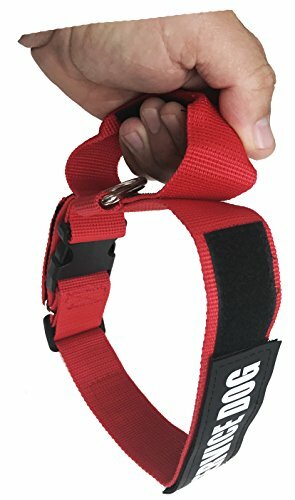 Ultra-Reflective for Safety: Walking your dog in the dark? Never fear. 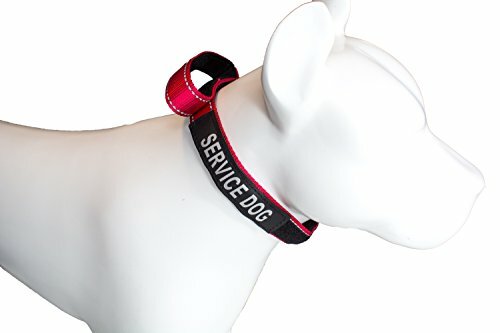 Our service dog collar has a reflective feature from the "Service Dog" patch. 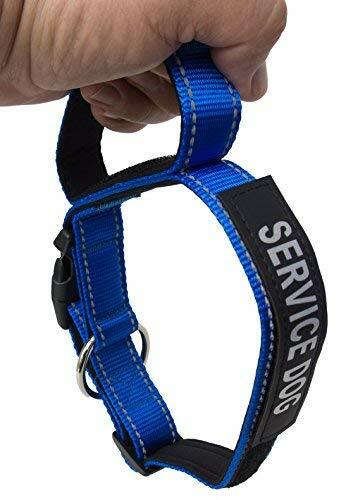 Great replacement for your service animal vests Built to Last: Woven of tough polypropylene webbing, this durable service dog collar stands up to tons of wear. Sturdy handle allows easy control, while stainless steel D-ring securely holds leash or ID tag. Comfy for Your Dog: Concerned about your pet's wellbeing? No worries. This lightweight Collar feels so good your dog Companion will hardly know it's there. One Collar, Many Options: Your Albcorp Collar has a hook&Loop panel for securely attaching patches. Remove our "Service Dog" patch (included) & easily replace with your own - support, in training & more. Perfect Custom Fit: With adjustable neck strap your Service Dog Collar Fits any breed and Comes in small, medium, large and red/black/blue.